From the gallows of anxiety to thriving. A morning routine is one of many practical gifts I have received from guests. If you have followed Real Women’s Work from the beginning you know that its impetus was my faulty mental health. I was in one of the worst bouts of anxiety I’d ever experienced. This is not the space to take you to the depths I reached, but know that it was lower than I knew existed. Not only did listening to the words of women help to build my confidence, rationality, and calm my mind, but hearing how they started their day was one of many unexpected gifts. When I wrote the question “what is the first thing you do when you get to work and is it the same every day?” I expected the answers to revolve around checking calendars, opening e-mails or checking in with team. When our first guest answered differently, I suspected it was simply because of the nature of her work. But guest after guest answered this question by sharing her morning routine. The routines differ. Some start with green tea and a run. Others start with meditation and fancy coffee. Some start with reading or prayer. One thing became clear though; each guest had a morning routine- something I had never had. Like so many things Real Women’s Work has given me, the wisdom of women continues to pull me from my lows, build my confidence, and show me how to be better. I started to research morning routines. From The Miracle Morning to prayer and marathon training, I realized that most of the women I admire start their day intentionally. So, about 6 months ago I adopted my first morning routine. What Morning Routine is Working? 15 minute Sunrise Yoga with Adriene. It takes 45-60 minutes to complete my routine in full and is based on the Miracle Morning. Sometimes I cannot complete it in one chunk. If one of my kids wakes up in the middle of my routine, I pause. I start back up again once they are settled into something. So sometimes I do not finish my morning routine until noon. Mostly though, I am up (intentionally) in plenty of time before the kids get up so that I can comfortably get through the whole thing- including showering and dressing! Having a morning routine that is based on gratitude, self improvement, calm, presence, intention, movement, increasing my self worth, and filling my body and mind with thoughts and movements that will make me better has improved each of my days. These days, of course, add up to make up my life. When I started Real Women’s Work I wanted to create a space for women’s voices. While this remains true, I now understand how much more it can be; a place of wisdom, positivity, connection, gratitude, and common sense. Real Women’s Work can be a place where women connect exactly as they are- where we utilize the strengths of other women to guide us through our own challenges. A space where we listen quietly to words honestly shared. Words of truth, anguish, sorrow, joy, silliness, anger, injustice, happiness, perseverance, confidence, fear, authenticity, naivite, ignorance, wisdom, experience, love, and support. The words authentically and generously offered so that we can connect and be better, happier, women. 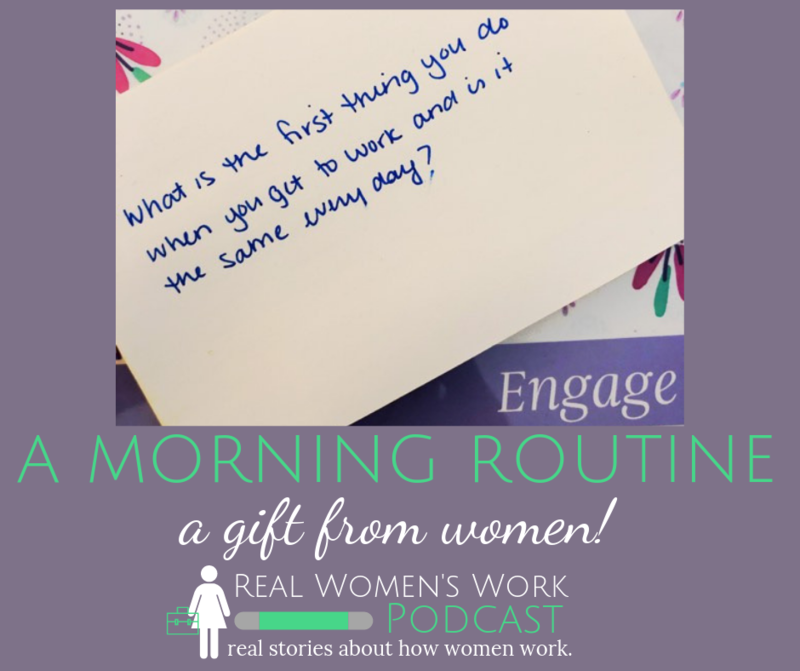 A morning routine is one of the many practical tools I have gained from hosting Real Women’s Work Podcast. Not only has this helped me climb from the gallows of anxiety, it has reminded me of how much women offer. We are part of something necessary and important here and I am excited about where we are going. My goal now is not only to create a space for women to share how they work, but for all women seeking it to have these spoken words build their confidence, skills, tools, and resources so that all who need it can rise up to live the lives we want to lead. As always, I am so very, very glad that you are here! 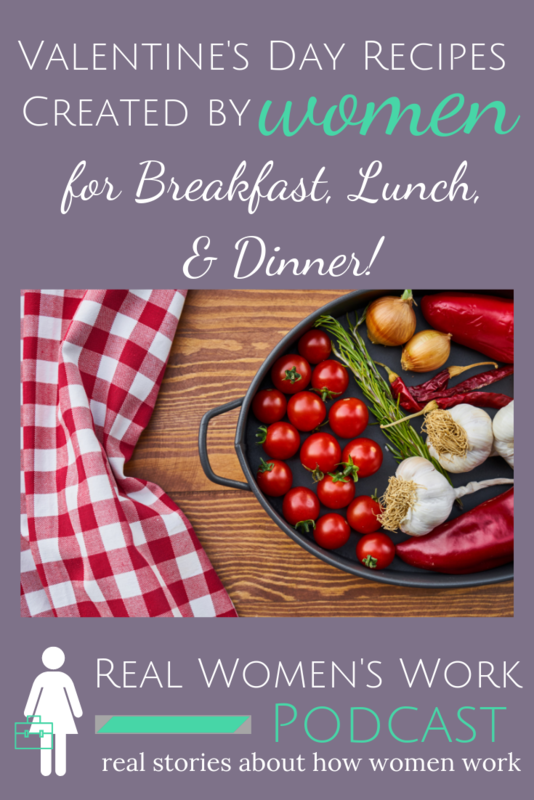 You can listen to Real Women’s Work by clicking here. Be sure to subscribe to our newsletter and follow us on social media to stay connected! 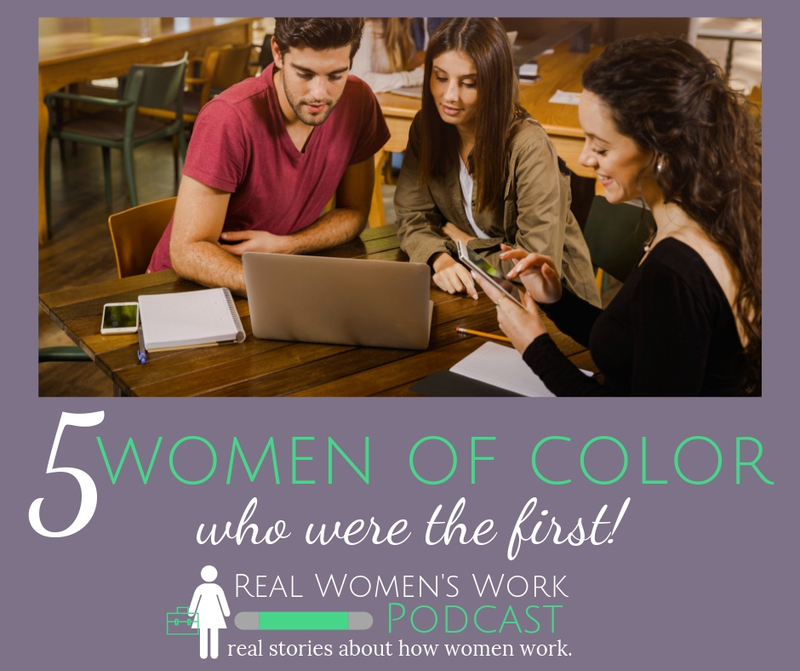 5 Women of Color Who Were the First! I have so been enjoying learning about different women! I find myself amazed at how many women I have never heard of- important women! Women who have made significant and measurable impact on our society and world. While women’s work in general is largely unaccounted for in History books, or is inaccurately attributed to men, Women of Color have far less acknowledgment of their contributions. As I was looking for the stories of Women of Color to share on Social Media one thing became profoundly clear; we need to know these amazing women. We need to know their stories and their accomplishments. We need to reflect on how many of these women we do not know. We need to consider why that is. Most importantly, we need to make a conscious and intentional effort to familiarize ourselves with the accomplishments of Women of Color from the past, and be sure we amplify the voices of Women of Color who today are accomplishing great things. Many of us wonder what we can do to make the world a better place. Learning about these women and telling your friends and children about them is one easy, tangible, and effective thing you can do! This is a win-win. The more we learn about what all women have done and are capable of doing, the more our own confidence and trust in ourselves and our capabilities grow. So take a few minutes to learn a little about these women. And tell your friends. Read full post by clicking here. “Mae C. Jemison (born October 17, 1956) is an American astronaut and physician who, on June 4, 1987, became the first African-American woman to be admitted into NASA’s astronaut training program. On September 12, 1992, Jemison finally flew into space with six other astronauts aboard the Endeavour on mission STS47, becoming the first African-American woman in space. In recognition of her accomplishments, Jemison has received several awards and honorary doctorates. “ Read full post by clicking here. “Lorraine Hansberry, child of a cultured, middle-class black family but early exposed to the poverty and discrimination suffered by most blacks in America, fought passionately against racism in her writings and throughout her life. Best known for her plays, Hansberry was the first black woman to write a Broadway drama; A Raisin in the Sun (1959) became the longest-running black play in Broadway’s history and made many consider Hansberry the most promising playwright of her generation, although her career was cut short by her early death.” Read full post by clicking here. “Shirley Anita St. Hill Chisholm was the first African American woman in Congress (1968) and the first woman and African American to seek the nomination for president of the United States from one of the two major political parties (1972). Her motto and title of her autobiography—Unbossed and Unbought—illustrated her outspoken advocacy for women and minorities during her seven terms in the U.S. House of Representatives.” Read full post by clicking here. “Bessie Coleman was born in Atlanta, Texas, in 1892 and soon joined her family in the cotton fields. In Chicago years later, Bessie decided she would become a flier. She had to go to France to find a school that would take her, as the skies proved easier to conquer than contemporary prevailing stereotypes. Fulfilling her dream sparked a revolution and led the way for new generations of dreamers and future aviation legends, such as the Tuskegee airmen.” Read full post by clicking here. Learning about what other women do builds our confidence, inspires us, and helps us realize our own capabilities. Here are 5 Women of Color who were the first at what they did! I hope you have enjoyed learning about these women and their important contributions to our world. One of the coolest things about doing this is that we start to look for contributions from women -all women- throughout history right into modern day. Just watch. It happens and it’s super cool! 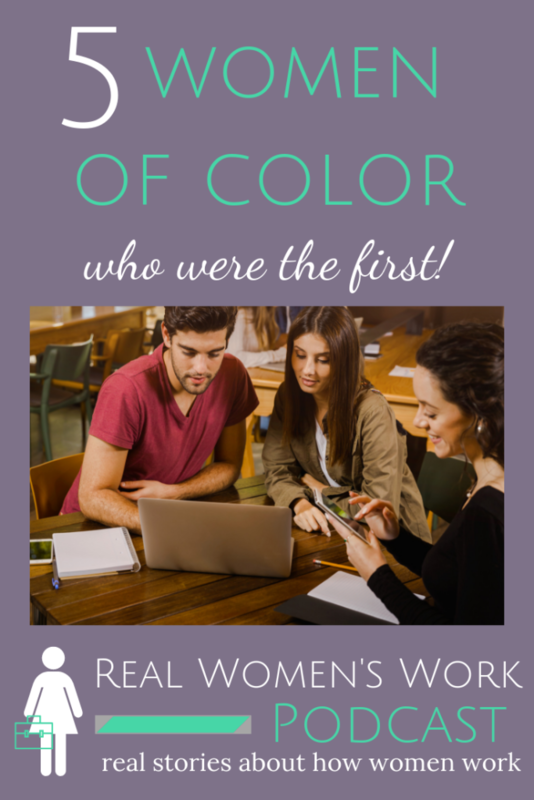 Will you share some other Women of Color we should know about in the comments? Valentine’s Day Recipes Created by Women for Breakfast, Lunch, Dinner, and Dessert! Valentine’s Day Recipes by Women for Breakfast, Lunch, and Dinner! The further I get into Real Women’s Work I find myself paying closer attention to what women are doing. We are everywhere. We are doing all the cool things. We are inventing, creating, serving, loving, fighting, advocating, caring, and so much more. As I thought about what February means to people, I realized that the food space is dominated by women. The women who are most well known have a lot more to do than creating and cooking recipes. They are running businesses. Whether it’s a blog, cookbook, or TV show there is so much that goes into becoming a well known food personality- and none of it is happenstance. So today I want to share a few of their recipes with you. Make them with your daughter, your mother, your sister, or your best friend. Spend some time learning about the woman who created the recipe before you bake it. Check out her social media. Read her about page. Commit 3 or 4 tidbits about her to share with your baking buddy as you make her recipe. If you are baking with your daughter learn about the recipe creator together, if she’s up for it. Talk through the timeline of her life- how she started, what inspired her, the work she’s put in… as much as you are able to gather while keeping it fun. This crazy awesome thing happens the more that we learn about all the amazing things women are doing: it makes us realize our own capabilities. It breaks down barriers that were invisible all along. It encourages us to try new things. It opens our eyes to possibilities we may not have realized were there. I hope you enjoy learning about these women as much as I have. I’ll be thinking of you reading about them, trying their recipes, and telling other women about them as you make the recipes together. Author’s Note: I am going to make one of these recipes and write down a few facts about the woman who created it. I am going to wrap them in some simple, nice, packaging and bring them to the three women who run our leasing office. Feel free to steal the idea! Happy Valentine’s Day and enjoy learning about these women! Hailed by Glamour magazine as “The Queen of Healthy Desserts”, Katie started Chocolate Covered Katie as a just-for-fun food blog. Now a full time blogger, Katie has endured her share of internet fodder. Nonetheless, she has built one of the top 30 cooking websites on the web! Click here to read more about Katie and remember to hang onto a couple of facts to share with other women in your life! Click here to spice things up at lunchtime with a Yellow Curry Thai soup recipe. An award winning photographer and videographer, Jessica is now a full-time blogger who shares her experience moving to a vegan diet with her readers. In addition to sharing recipes and tips, Jessica also offers guides for various situations- like Valentine’s Day, Going Vegan, and tips for creators on Pinterest. I love learning from women who have followed their passion and are doing the things they love, don’t you? Click here to learn more about Jessica. Click here for Red Velvet Brownies with Cream Cheese Frosting Valentine’s Dessert Recipe. Dana is the founder or The Minimalist Baker and not only shares 10 ingredient or less healthy recipes, she also offers food photo and video courses for aspiring food bloggers. She has authored both hard copy and e-books and serves as an inspiration to many! You can read more about The Minimalist Baker by clicking here. Click here for a Shiitake Mushroom Risotto Valentine’s Day Dinner. Click here to learn more about Jerrelle Guy and Chocolate for Basil. Click here for a Strawberries and Cream Valentine’s Breakfast recipe from Chocolate and Basil! Did you try these recipes? Did you share some with other women? What was something inspiring you took from learning about these women? Will you share in the comments? As we approach episode 20 of Real Women’s Work I am astounded. 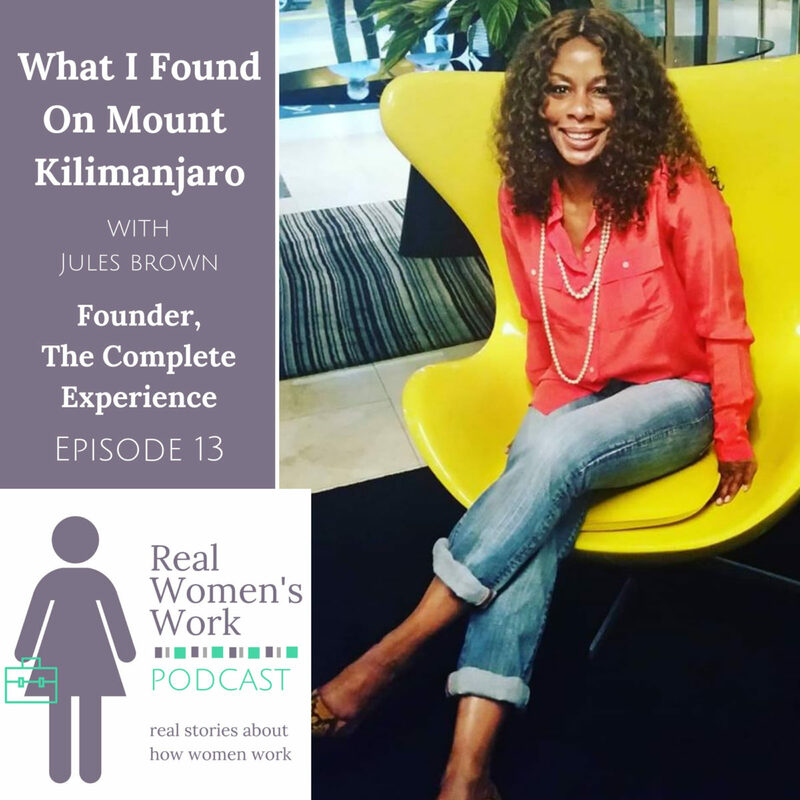 I expected to learn a lot from doing this podcast and talking with so many women. I could not, however, have imagined the depth of understanding I would gain so quickly. My vision for Real Women’s Work was that these weekly conversations would not only give us more connection and understanding of how our days are spent, but that we would learn a lot more about each other, too. I thought that if we heard how a receptionist spends her day we would feel more connected to the woman who greets us when walking into our doctor’s office. I hoped that by listening to a marketing professional talk not only about everything she has learned to promote solar energy, but also about the wise and valuable lessons she has learned while building her career, we would understand the human resources available to us. I envisioned us listening to a court reporter talk about how she does what she does and being mesmerized by something we thought was pretty straightforward. I imagined these combined stories allowing us to know more about each other and to wonder more about each other, too. This is what is happening. This, and so much more. I recently heard Katie Couric (I LOVE her podcast) say that she thinks the reason podcasts are gaining in popularity is because it is one of the only places we can hear deep conversations. They get us beyond the sound bites and curated bits to hear real, deep, and meaningful conversations. My experience as a listener is that Katie (can I call her that? 🙂 ) is spot on. I love listening to podcasts by women talking with women. I feel gratitude when they articulate something I’d been trying to understand myself. My loneliness diminishes when I realize that someone else has experienced the same feeling or fear. My confidence builds when I hear a woman talk about how she did it anyway. As a host, the experience is very different. When I am talking with a woman I have to remind myself that I am steering the conversation. So many times I am totally caught up in what they are saying and I forget we are doing an interview. I have to choose which follow up questions to ask, right there in the moment, usually wishing we had hours more to chat! There is so much value, insight, and wisdom to be offered by these -and all- women. As this podcast evolves I will get better at deciding which questions to ask. My skills at making sure the volumes are level (eek!) will improve. My understanding of how to promote these important voices will increase. One thing that I know is already perfect though, is that we have created another space for women’s voices. In my lifetime, in my daughter’s lifetime, there will not be enough space for us to share our stories. Real Women’s Work will continue to improve technically, but the space… the space is already perfect, simply because it is here.